Imperfection soothes the soul, and so does nature. 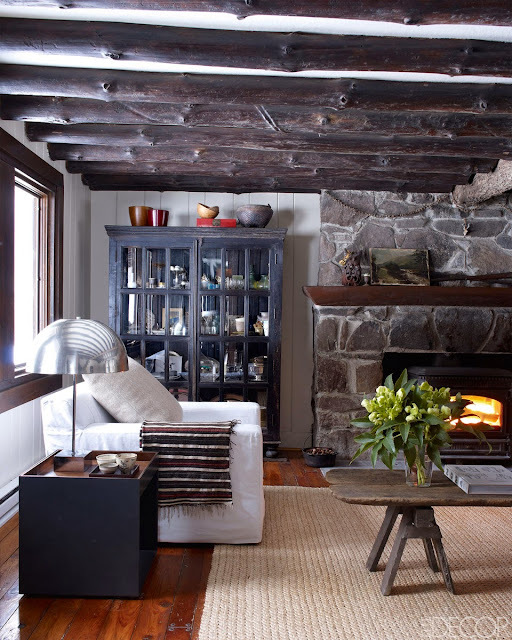 Incorporating natural materials, textures in forms that will age well and acquire character with use, go far in creating cozy rooms. 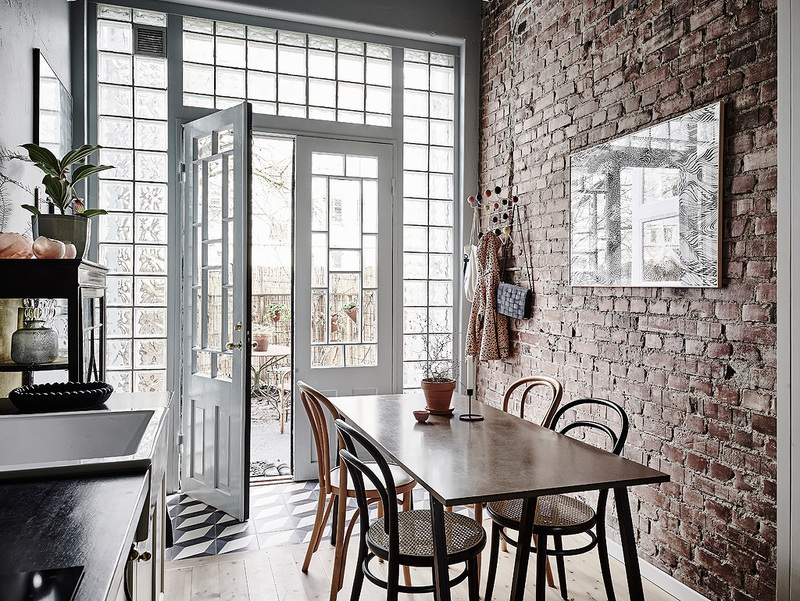 Natural light and visual access to outdoors help, too, as seen in this eat-in kitchen. 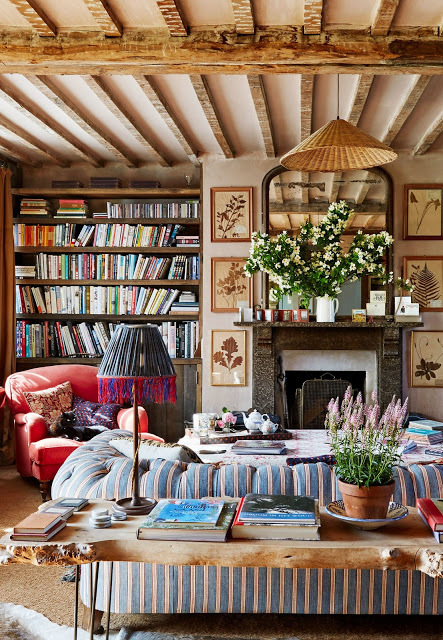 Those elements also help create timeless spaces which I always prefer over investing in trends that will soon seem dated. ^ Cool cozy kitchen. I like the Thonet chairs, the exposed brick, and the tile by the doors. 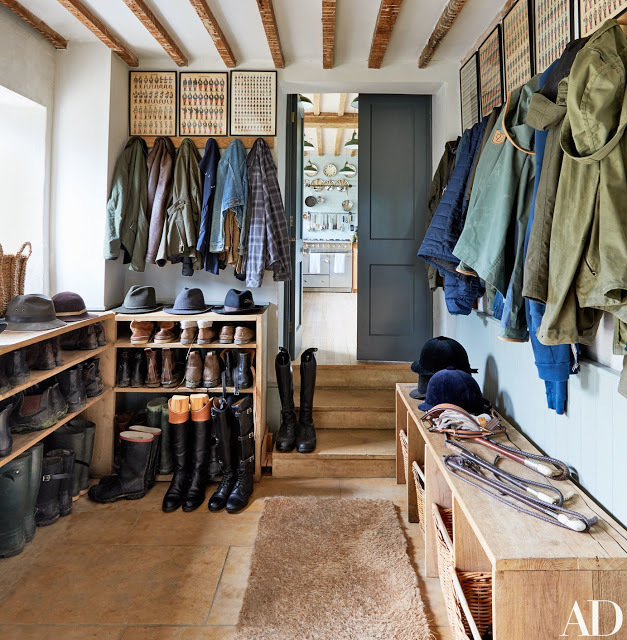 ^ I love this mudroom with its unpretentious, practical shoe racks, and ample space to hang coats. The art work over the coat hooks seem a bit too repetitive and impersonal though. 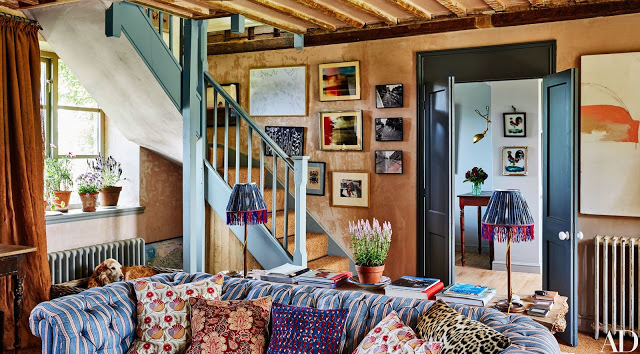 ^ Love the texture and the warm color of the paint job on the wall.